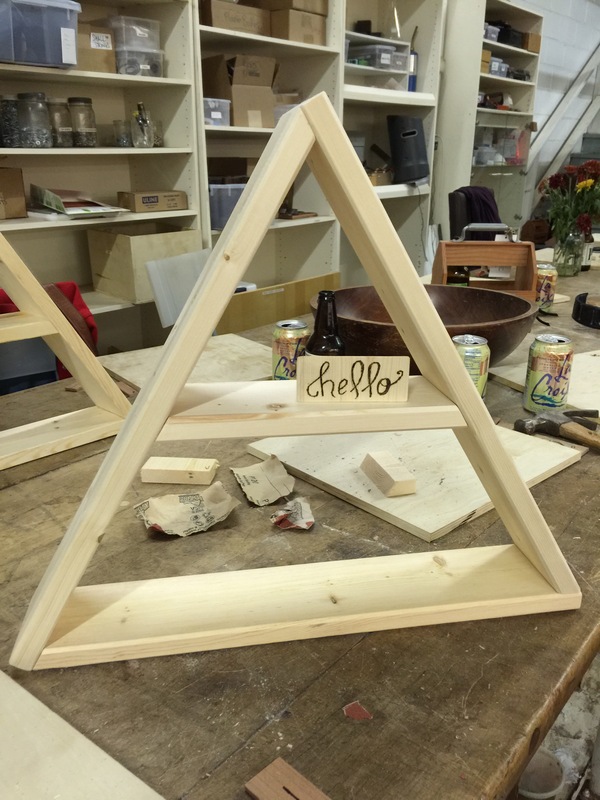 Watch out world, I built a triangle shelf! 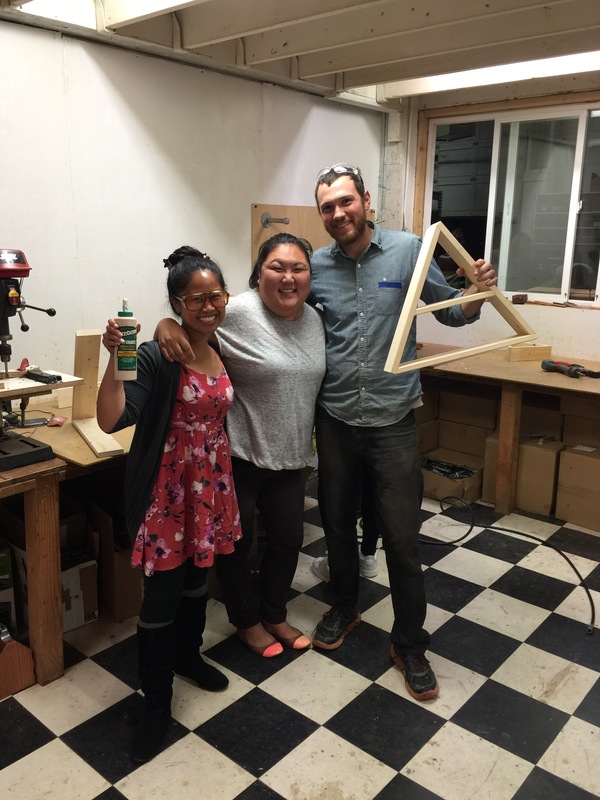 I took a class with Wood Thumb in San Francisco. They make cool things and they teach common folk like me to make some of those cool things. I’m super impressed by the outcome of this workshop. 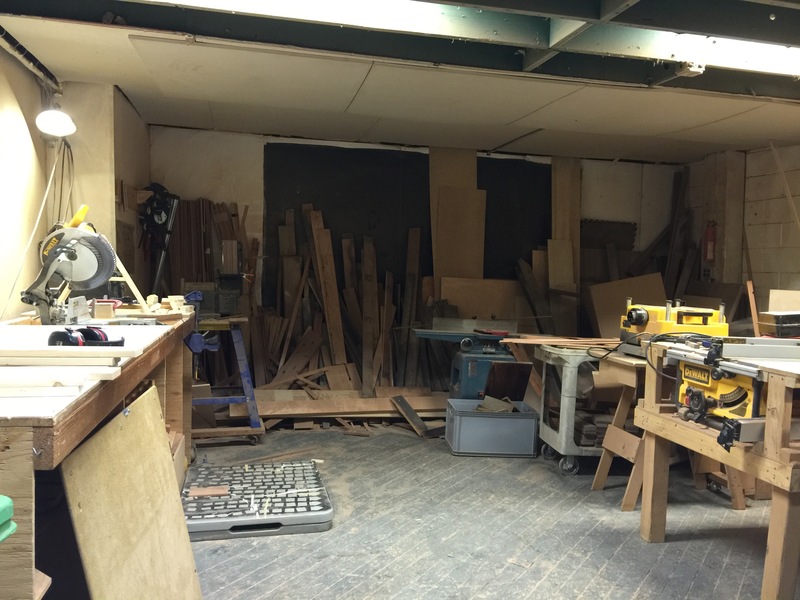 And as my friend Joy of Lighten Up Shoppe put it best — we’re basically carpenters now. We started with a lesson on wood — for example, did you know that soft wood trees produce pine cones and hard wood trees produce flowers? If that’s ever on Jeopardy, I win! We then learned to use a few power tools, played with a little wood burning, and did lots of sanding. Using the power saw made me super nervous but it was my favorite tool. Ok, maybe the nail gun was my favorite, too. Once our shelves were nailed and glued together, we got to staining. 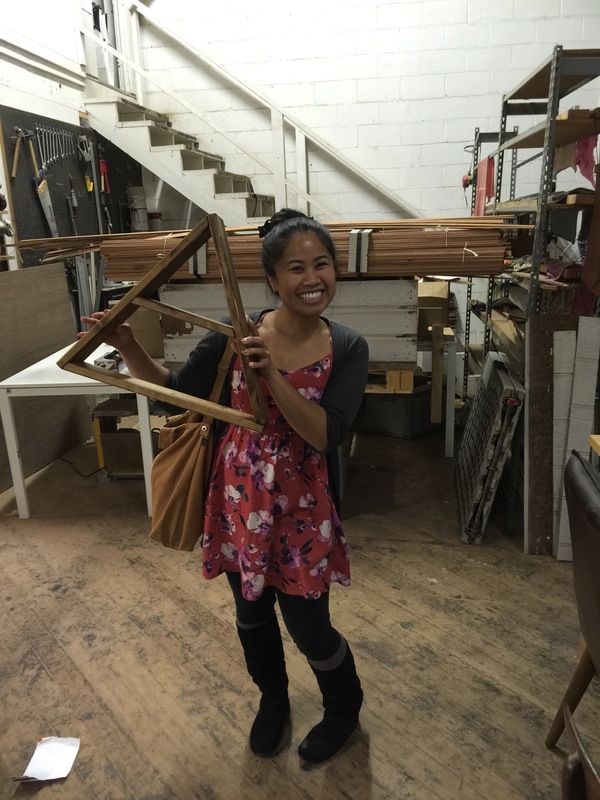 We all left with amazing, structurally sound shelves…and all of our fingers! I’d say it was a huge success! 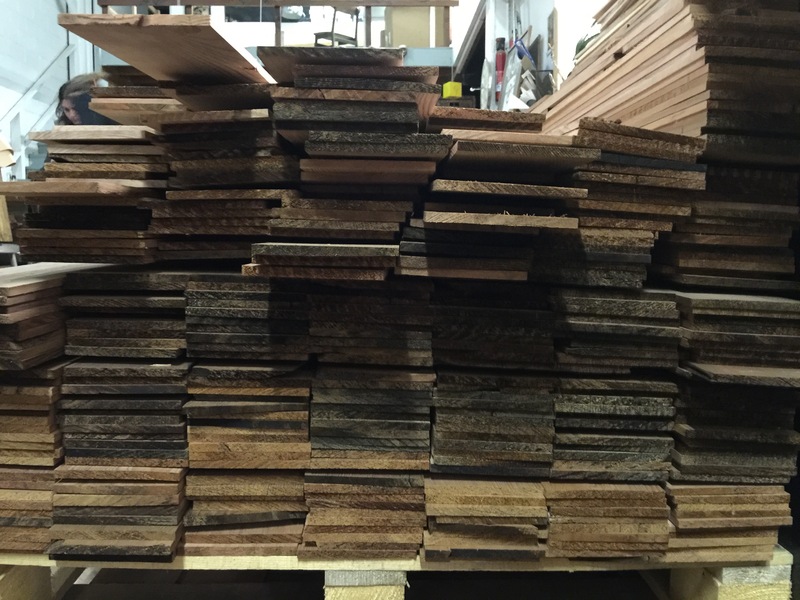 Are you handy in the woodworking department? Share what you like to make below!